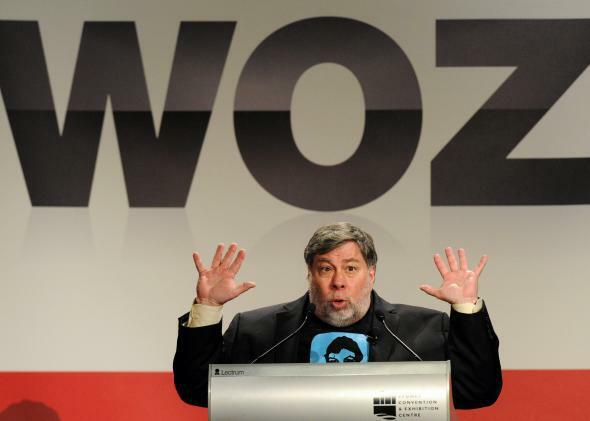 Steve Wozniak shares thoughts about wearables. Wearbles aren’t blowing Woz’s mind yet. Steve Wozniak is a hilarious dude. But he’s also proved himself over and over as an astute tech analyst. After all, this is the man who designed the Apple I and founded the company that made the first programmable universal remote. Major contributions. So when the Woz says that smartwatches haven’t reached their tipping point for consumers yet, it’s kind of important. On the topic of other wearables, Wozniak says he has tried Google Glass and “liked playing with it.” So how does he choose what to try out next? “I look for things that are a little unusual that my friends wouldn’t have,” he said during his Flying Car keynote, which must be tough because his friends probably set the bar pretty high. You can’t exactly have your friend Steve Wozniak over to show him your new garage door opener.